While Apple releases a refreshed design of the Apple iPhone every couple of years, the design of the much loved MacBook hasn't seen a refresh in years. That is likely to change in 2016. 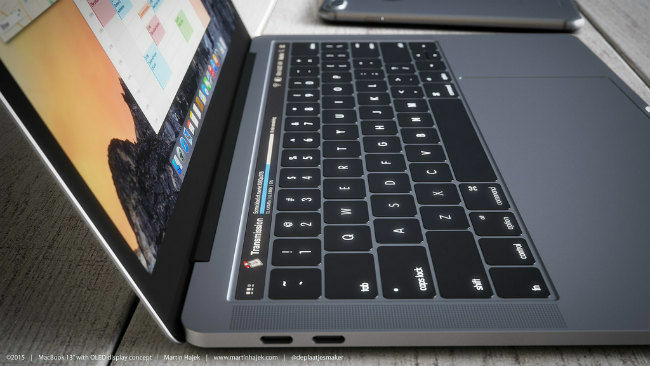 There are rumors that Apple might change the design and add some new features to the MacBook. 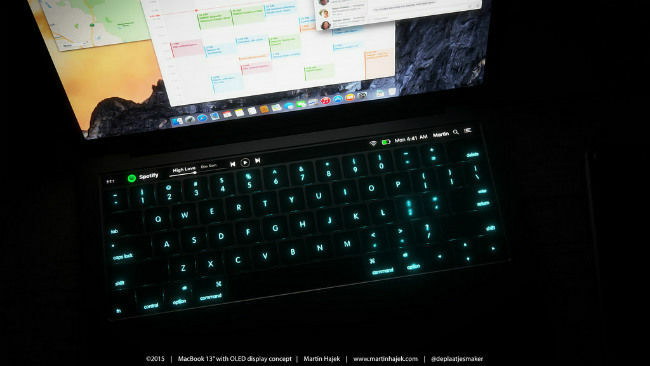 Newly leaked image renders give us a glimpse of what the new MacBook might look like. The new renders are the imagination of 3D model artist, Martin Hajek. 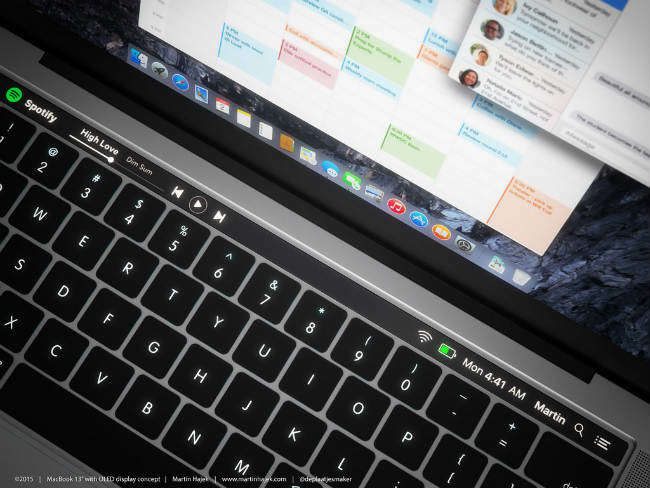 Last month, reports came in from China that the upcoming MacBook might have a touch OLED bar instead of the regular function keys. With WWDC is just around the corner, it is expected that Apple might announce the new refresh of the MacBook lineup there. Rumours also suggest that it will have multiple USB Type-C port and a much larger touchpad. The Macbook is also suggested to get a fingerprint sensor which would be enabled by Apple’s Touch ID. 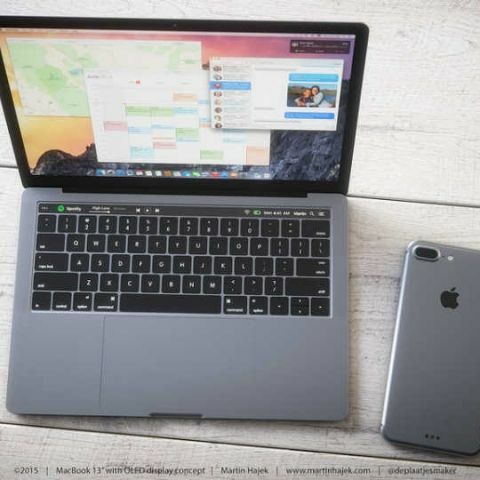 Another report suggests that Apple might be focusing to make MacBook even thinner and more lighter. It was reported recently, that the new device will have a metal injected molded hinge made by the same company which made the current gen Microsoft Surface tablets. Alongside the MacBook, Apple is also likely to introduce a much needed refresh to the MacBook Air lineup. The MacBook Air hasn't seen a design overhaul since Steve jobs launched it back in 2008. Rumors are, besides the design refresh Apple might introduce a 15-inch variant of the MacBook Air this year.